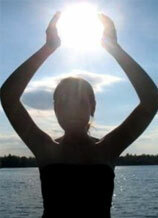 Mudra therapy is part of the greater system of ancient Indian medicine known as Ayurveda. ‘Mudras’ are systematic hand gestures, which, when practiced, can address and alleviate disease by restoring a state of balance within the body. They are the external expression of inner resolve. Osteopathic Manual Therapy is a health service which emphasizes the role of the musculoskeletal system in health. Founded in 1892 by physician Andrew Taylor, the goal of Osteopathic manual practice is to resolve somatic dysfunction thereby aiding the body’s own recuperative faculties. This modality combines a diverse array of manual techniques together with postural and occupational advice, as well as counseling to relieve pain, restore range of motion and enhance the body’s innate healing capacity. Overcoming Co-dependency Co-Dependency is ‘relationship addiction’. People who practice co-dependency tend to form or maintain relationships that are one-sided, emotionally destructive and/or abusive. It is both an emotional and behavioral condition which affects an individual’s ability to engage in healthy, mutually satisfying relationships. Sessions aid in exploring the relationship between early childhood issues and current destructive behavior; provide techniques as tools to disengage the past from the present; and empower the client to experience their full range of feelings again and, using new skills, reconstruct healthy personal and family dynamics. Pranic Healing is a highly evolved system of energy medicine developed by GrandMaster Choa Kok Sui which utilizes prana (Sanskrit for life-force) to balance, harmonize and transform the body’s energy processes. Sports Specific Muscle Balance employs manual muscle monitoring to identify energy patterns and correct imbalances using simple and subtle techniques. This is a profound modality where the flexibility and strength of more than 80 muscles including 23 postural muscles, 22 synergistic muscles and 15 core muscles are balanced. Touch for Health involves a specific series of manual muscle monitoring to evaluate body’s responses to provide information on energy blockages, the functioning of the organs, nutritional deficiencies, and food sensitivities. Muscle monitoring is a noninvasive way of evaluating the body’s overall state of structural, biochemical, or emotional imbalance and assessing its needs. In early 1970s Dr. John F Thie, USA, developed techniques basing on the concept of internal energy fundamentals of traditional Chinese medicine. The concepts of Wellness integrate the holistic worldview of the East, as well as the vitalistic tradition in the West.